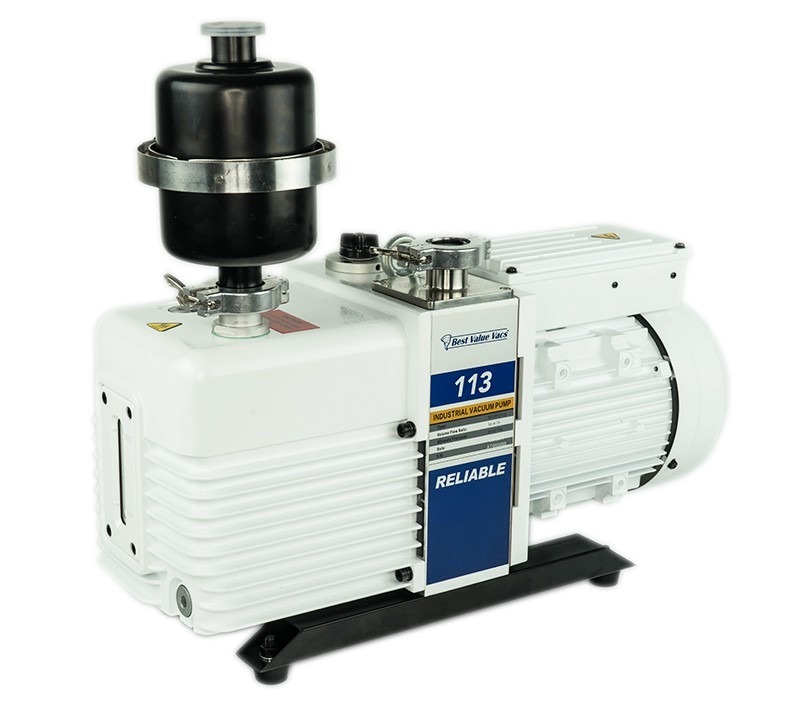 UL Listed BVV Pro Series 11.3CFM Two Stage Vacuum Pump - ON SALE! - FREE Shipping! Our Pro series are our most impressive line of rotary vane pumps available. Known for their high degree of efficiency and deep ultimate vacuum, all Pro models feature a dual-stage, chemical-resistant pump configuration designed to handle abusive, extended vacuum evacuations. Capable enough to comfortably handle laboratory and scientific applications, these pumps are also extremely simple in operation and require minimal maintenance. PTFE chemical resistant pump vanes provide superior corrosion resistance and reliability. Large oil reservoir and adjustable gas ballast standard on every model to increase pump oil lifetime. Exhaust oil filter trap included. 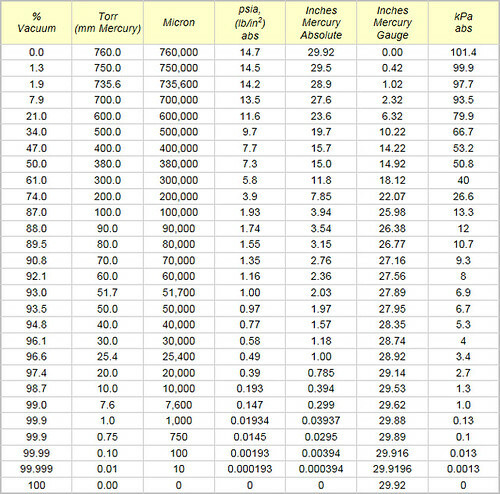 DEEP ultimate vacuum and KF25 inlet for optimal pumping speed. BVV Pro Series pumps are a dual stage rotary vane pump style. Dual stage pumps have two rotors and two sets of vanes that work together to full pull a medium vacuum (1st stage) and then pull a better vacuum (2nd stage). These pumps will evacuate more quickly, and can pull a deeper vacuum, when compared to single stage pumps. What is Gas Ballast and how does it work? 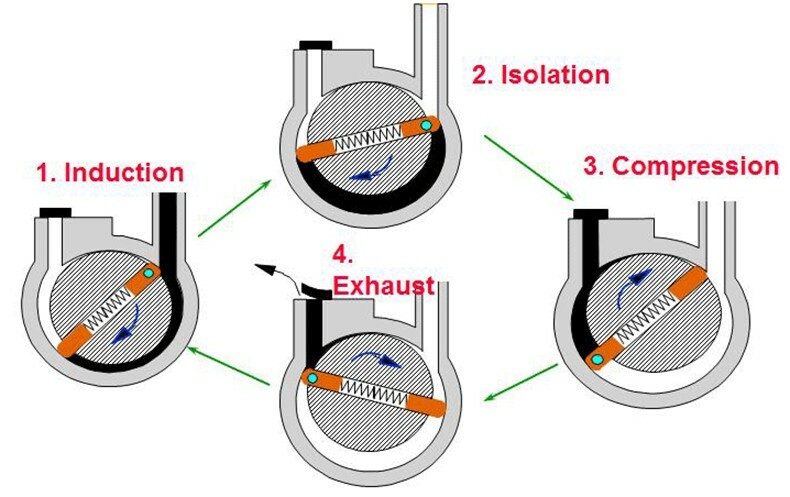 During the pumping process the vacuum pump is trying to evacuate gas present in the occupied space, both non-condensable and condensable gases and vapors. Gas ballast helps increase the percentage of non-condensable vapors such that it will allow for the pump to efficiently exhaust all gases and vapors. This in turn will increase the overall efficiency and pumps life. 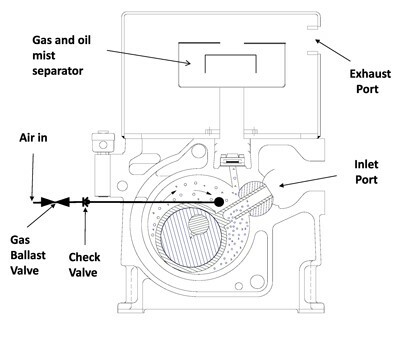 When the pump is being used with non-condensable gases it's safe to keep the gas ballast valve closed. On the other hand, when there is a condensable gas or vapor present, the gas ballast should be opened appropriately. Gas ballast is used at the beginning of the pumping process when condensable gases are known to be present, then it's closed to finish pulling the deepest vacuum.